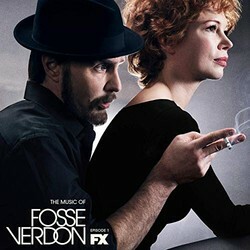 Atlantic Records presents the first soundtrack for the new FX limited series Fosse/Verdon. The single features the show’s theme from episode 1 composed by Alex Lacamoire. Also included are two songs performed by Kelli Barrett, Bianca Marroquin and Reza Webb with The Fandango Girls. Atlantic Records presents the first soundtrack for the new FX limited series Fosse/Verdon. The single features the show’s theme from episode 1 composed by Alex Lacamoire. Also included are two songs performed by Kelli Barrett, Bianca Marroquin and Reza Webb with The Fandango Girls.